The last episode of The Walking Dead: The Final Season has a new trailer, and it's chilling, especially since this is probably the last time we'll see Clementine again. The final episode of Telltale's The Walking Dead is nearly here, and it's hard to believe the journey is coming to a close. Seven years after we first met adorable little Clementine, it's time to see the saga come to an end. The fourth and final episode of The Walking Dead: Final Season, "Take Us Back," is about to release next week. There's a new trailer to commemorate the upcoming episode's debut, and we're not sure if we're ready just yet to say goodbye. It certainly sounds bleak, and the trailer itself isn't much better. But at least we can rest easy now, knowing the story we've so faithfully been following over the years is going to get the finale it deserves. 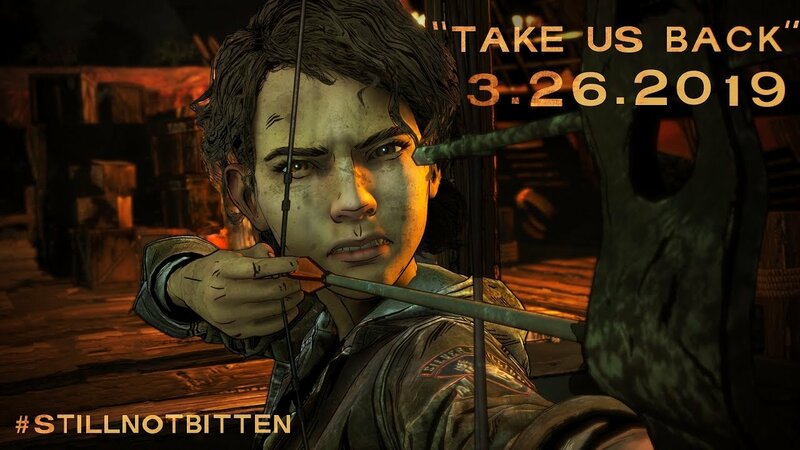 After the tumultuous closing of Telltale Games and the resulting questions whether we'd ever see an ending for Clementine and crew or not, despite the trepidation we feel going into this final episode, it's still good to know that there will be some sort of conclusion. The episode will debut on Xbox One, PlayStation 4, Nintendo Switch, and PC (as an Epic Games Store exclusive) when it hits at the same time. How are you feeling about seeing The Walking Dead ending? We're definitely feeling some type of way about the whole situation. I don't see how they cannot satisfactorily end the series without Clem's death, and her death having the same import on AJ as Lee had on Clem.